Organised by Causeway Coast and Glens Borough Council and Building Communities Resource Centre, the school children engaged in a series of workshops over the course of four days. 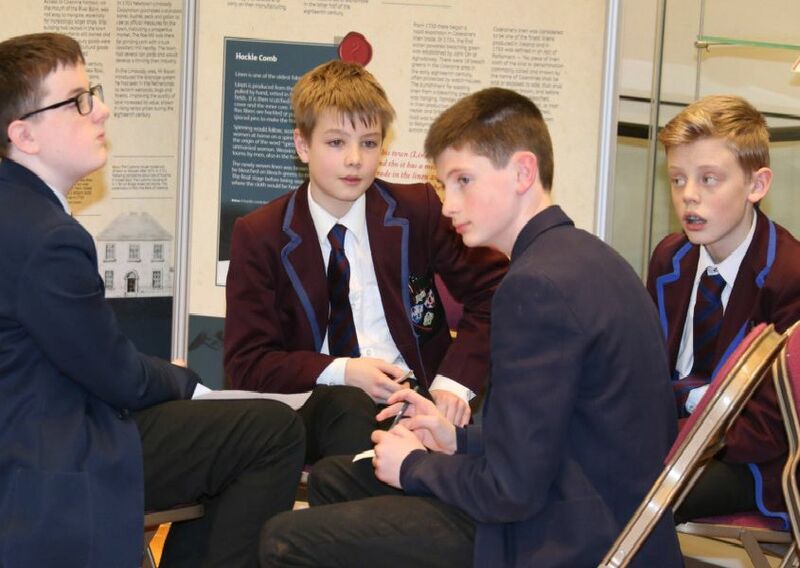 Year 9 pupils pictured at the 'Smart World Shared Education' workshop in Ballymoney Town Hall, organised by the Building Communities Resource Centre and Causeway Coast and Glens Borough Council. Pupils from Ballymoney High School, Our Lady of Lourdes and Dalriada who attended the 'Smart World Shared Education' project in Ballymoney Town Hall. Claire Mc Laughlin and Marie-Louise Mc Clarey from Building Communities Resource Centre pictured with Joy Wisener, Good Relations Officer, Causeway Coast and Glens Borough Council and Patricia Harkin, Good Relations Manager, Causeway Coast and Glens Borough Council at the 'Smart World Shared Education' project. Facilitator Angela Watts pictured with the Year 9 school pupils from Ballymoney at the 'Smart World Shared Education' project in Ballymoney Town Hall.